Youssef is passionate about Finance and Technology. He has a wealth of experience dealing with Tech companies and with the investor community, and how the two groups interact. Youssef was previously an Equity research analyst at Barclays Investment Bank, covering the Technology and Payment sectors in Europe; a role which is at the crossroad of institutional investors, corporates, financial analysis, and strategy. 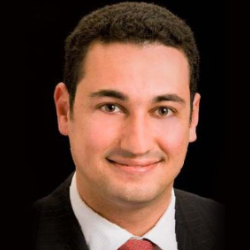 Before that, Youssef contributed to various complex structured finance deals and delivered tailored financial risk management solutions to leading corporates and government entities in the Middle East. More recently, Youssef helped several companies refine their business model, validate business plan assumptions, estimate their own valuation, and improve their communication with the investor community. Youssef has a Masters in Computer Science and Electrical Engineering from French Grande Ecole ISEP, and a Masters in Finance from ESSEC Business School. Youssef’s key areas of expertise are Financial analysis and modeling, Tech, FinTech, Finance, Banking, Business Development, Business Strategy, Corporate finance, Market finance, and Investor Relations.